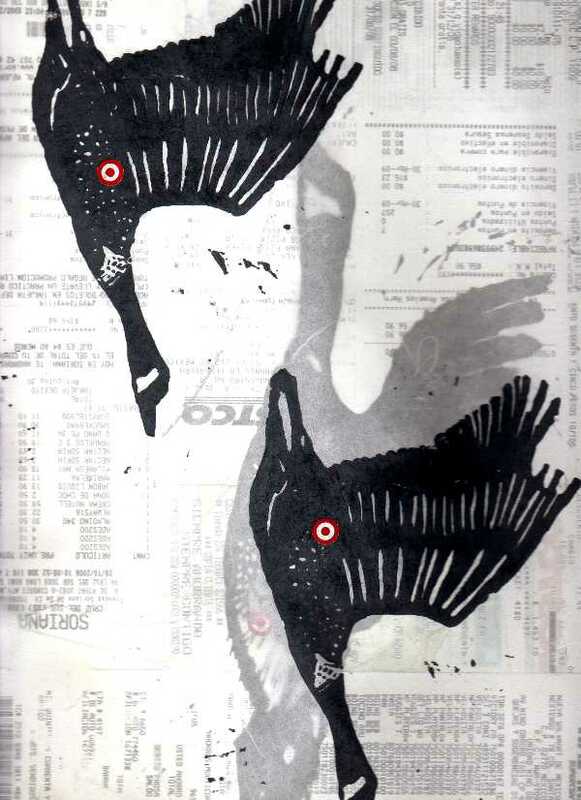 Artist Mariana Castro De Ali uses bird migration as a metaphor for the ordeal immigrants face daily. Whether they are being hunted by governments or law enforcement, weighed down by debt and unemployment, or facing a lack of social services, immigrants must do what it takes to survive. Migratory birds and humans share the common experience of fighting for life. Birds migrate to survive the winter; People emigrate to escape insurmountable circumstances, in search of better life. However, in the U.S., the American dream seems to be failing: people are losing their homes, their savings, their social services and their retirement plans. Now, we are even seeing some reverse migration--people going back to their original countries because they are unable to find a job in the U.S. or because their home gets foreclosed upon. 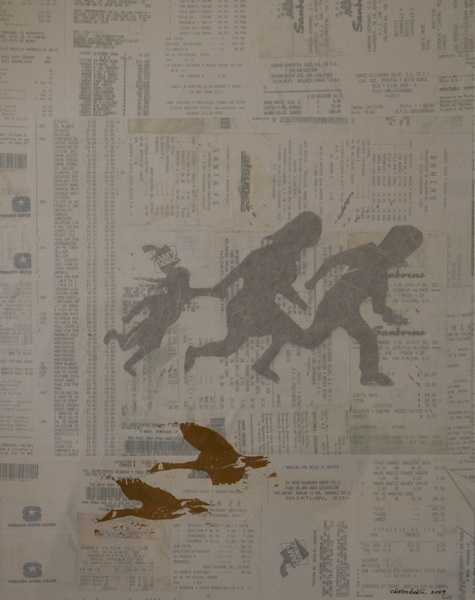 In my migration series, I use print receipts and price tags as an artistic medium to portray the reason that brought most of us to the United States: economic opportunity. Now, those reasons are no longer valid.